Liz Barnes is the co-owner and winemaker at Star Lane Winery where she makes all the wines by hand with what can only be described as true passion, dedication and a heart-felt love of the entire process. 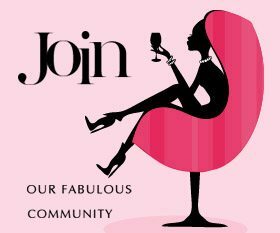 Read her fabulous story here! My husband and I first settled in the Beechworth region in 1994 that was when we purchased our property. We selected the site knowing that it was going to be a fantastic site for Merlot and Shiraz grapes. My husband Brett has a green thumb and so it was natural for him to pursue a career in Viticulture. Beechworth tourism had just started to take off at this time so it was a bonus that our site was so close to Beechworth. We then did a lot of research into the best available phylloxera resistant clones, site selection on our property, orientation and a multitude of other variables before planting the vineyard in 1997. Our very first vintage was in 2001. I have had the absolute privilege of having Rick Kinzbrunner from Giaconda as a mentor. I was given the opportunity to work, learn and observe Rick’s winemaking techniques at his winery as well as having him come to my winery to assist me with my winemaking. 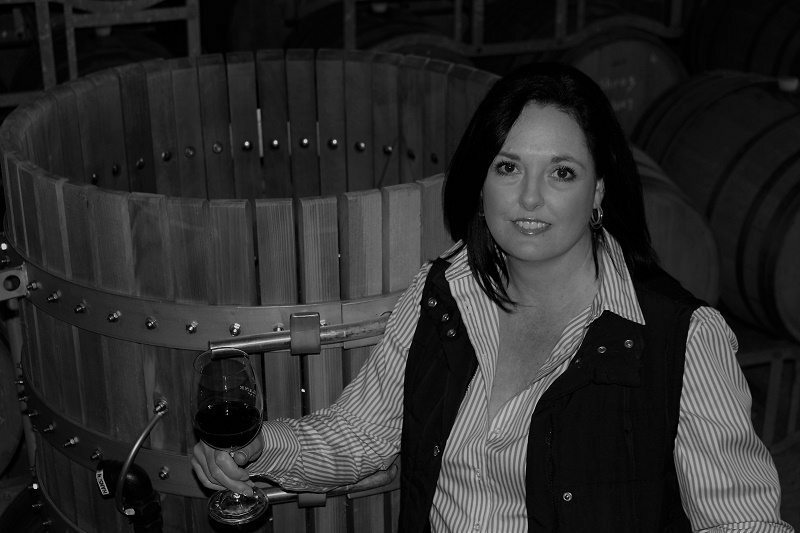 His assistance was invaluable and gave me an incredible start to my winemaking career. You are the Winemaker at Star Lane Winery. Can you tell us the story of why, when and how this happened? We initially sold on the fruit from our vineyard and kept a small amount of fruit back in which a contract winemaker processed into wine on our behalf. I could see different directions in which I wanted to go with winemaking and so I decided to study winemaking so that I could have full control and be able to make the wine myself in the way in which I wanted it to be made. So we built the winery on our property in 2004 and I had my first vintage in 2005. 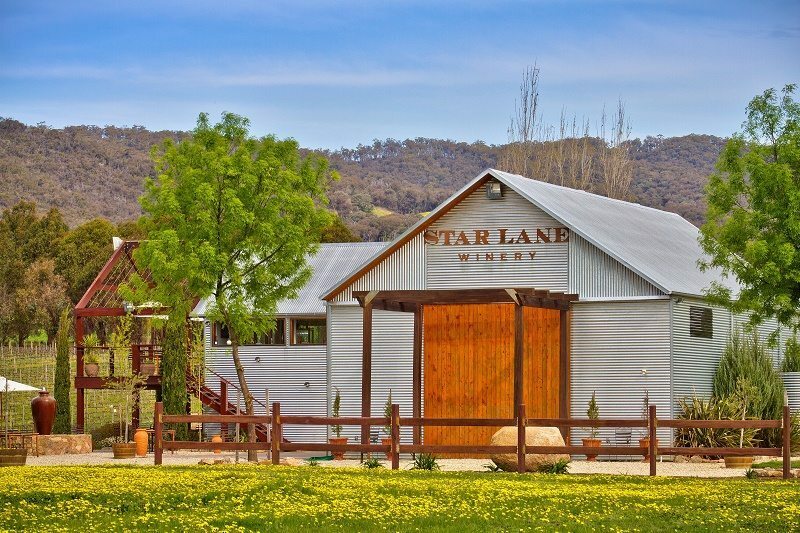 What is the philosophy behind Star Lane Winery? We have the philosophy that a wine made with minimum intervention allows the terroir to shine through and produces a wine that is unique, individual and complex. I also believe that some of the best wines in the world are made from a combination of a harmonious blend of art and science. What grape varieties do you make wine from at Star Lane Winery? And where are they sourced from? All of our fruit is estate grown. The Merlot and Shiraz are grown on the site where the winery is and we also have a site a couple of kilometres away at our business partners property Rex Lucas’s place which is on the granite soil and that is where the Sangiovese and Nebbiolo, our Italian varietals are grown. My absolute favourite wine that we produce is our Elements Shiraz. This wine is quite unique in the fact that we age the wine in Red Gum barrels (Australian hardwood timber). It’s a really fascinating wine with just a hint of eucalypt enough to provide it with “a taste of Australia” but it is still a serious well balanced wine. It holds a special place in my heart as my family had been in the red gum timber milling industry for four generations and I have a love and passion for this beautiful timber. We utilise recycled red gum timber for our barrels and also for the red gum timber box it is packaged in along with Marino wool fleece. At the moment I am also really loving our new blend which is our Cantare, a blend of Shiraz and Sangiovese. This is the first year we have released this blend and it’s a beauty. It compliments a variety of different foods and in particular slow cooked winter style dishes such as hearty beef and red wine with a good old fashioned style potato mash. Well no two days are identical which is fabulous. Most of my days are spent in the winery either working in my lab or at cellar door. I love doing Cellar Door and having people come to the winery and talking to them about our winemaking and viticulture practises. I’m really passionate about what we do and most people are really interested in finding out what we do. We have met some really fantastic people that have come through the winery and we have forged some fantastic friendships with some of the people we have met. My eldest was three months old when we planted the vineyard so I haven’t had the opportunity to work overseas yet. And I say “as yet” as it is definitely something that I hunger to be able to do both as a winemaker and also just as a fantastic personal experience. I absolutely adore lamb and our Merlot. I think they are a match made in heaven. It doesn’t matter if it’s a rack of lamb, roast leg of lamb, shoulder of lamb or even lamb back strap – our Merlot is great with lamb particularly if you make a red wine jus with the Star Lane Merlot – yum. When it comes to matching food and wine I don’t keep to any particular rule of thumb. My advice is try all different food and wine matches and don’t restrict yourself to just red meat with red wine and white meat with white wine – look outside of the square and be creative and you might stumble upon something wonderful. Well it’s always really amusing when new customers come to the winery they almost always assume my husband is the winemaker – they actually get really surprised when he tells them that I am the winemaker. So that’s always pretty funny. Well it does depends on the group of people that you are with. But generally no I don’t think so I haven’t found any real gender disparity in regard to that. If you are at a winery just get in there and have a taste and have fun doing it. Don’t ever be frightened to ask questions most winemakers are eager to talk about their wine and how they make it and honestly no question is a “silly question”. By talking to the winemaker or really good staff at a Cellar Door you can increase your wine knowledge and come up with some great dinner party conversation to have with family and friends. 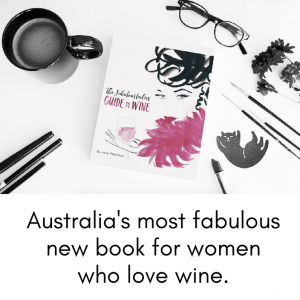 If you like the wine sister – then it is a fabulous wine. I think some people can get caught up in what constitutes a “great wine”. If you like a wine then enjoy drinking what pleases you.